The profession of medicine has entered a challenging and exciting period as the health care system undergoes revolutionary refocus and reorganization. There is increased need for leaders who can use powerful, newly developed technical and conceptual tools to diagnose, treat, and prevent illness. One of the most effective ways to provide leadership on these issues and to advance our knowledge of health care and the human condition is through the MD-PhD Program. The MD-PhD Program combines systematic and rigorous research preparation (the PhD degree) with excellent clinical education emphasizing the societal aspects of medicine (the MD degree). The MD-PhD Program at Dartmouth permits students to achieve the full potential of both degrees in an efficient and effective manner while gaining an understanding of the health care system as a whole. The key to developing outstanding physician-scientists is a program that explicitly provides the support and guidance needed by students who pursue these two rigorous curricula. The Dartmouth program provides flexibility to allow each student to meet her/his individual needs and to take advantage of the strengths of an institution with a long history of academic excellence. MD-PhD student Yike Jiang (right) with her mentor David Leib, PhD, professor of Microbiology and Immunology at Geisel. 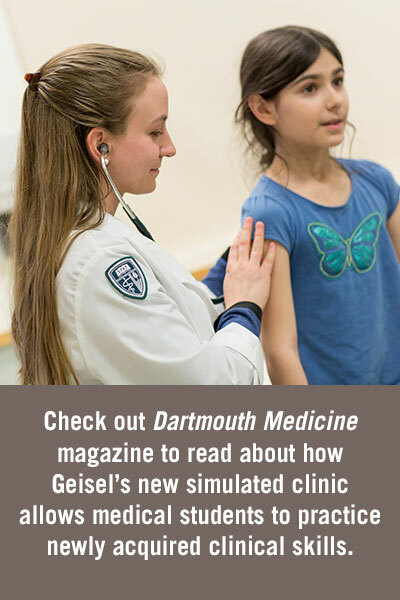 The program functions within the collegial and supportive environment of Geisel School of Medicine and Dartmouth College. 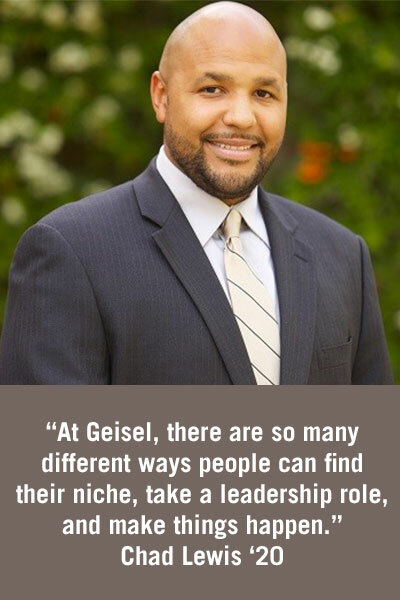 Students typically begin their training with Geisel year 1, followed by a first summer research rotation, and continue with Geisel year 2, followed by a second summer rotation. Students then embark upon the PhD phase, including coursework and an intensive research experience under the auspices of a research mentor from the faculty at Dartmouth. Students culminate the PhD phase with a written dissertation and thesis defense and then complete the final phase of training in Geisel years 3 and 4. While this training pathway works well for most students, we offer flexibility to meet the needs of individual students who pursue their PhD outside of the biological sciences. The MD-PhD Program provides academic career planning for each student. The time to complete both degrees is typically eight years, on par with the national average. Dual-degree candidates receive substantial financial assistance for the duration of the program. Medical school tuition is initially deferred, then waived completely upon satisfactory completion of the dual degree program. In addition, students receive stipend support during all four years of medical school. Similarly, during the graduate phase, the academic departments offer students full tuition scholarship and stipend support. As soon as possible, and no later than November 1, 2018, complete the AMCAS Combined Medical Degree/PhD Application. In addition, you must submit the MD-PhD Statement of Interest Form, and the Geisel secondary application with fee or fee waiver. Your file will not be considered unless all forms are completed. MD-PhD candidates with completed applications will be given full consideration both for the dual degree program and for the MD-only program. While the deadline for all materials is January 3, 2019, early completion of your application materials is strongly encouraged. Interviews are conducted from October to February. Admissions decisions are made on an ongoing (rolling) basis.